Good evening and welcome back to the Sunday Snippet, I took a two week break due to being extremely busy with college and exams and life in general. 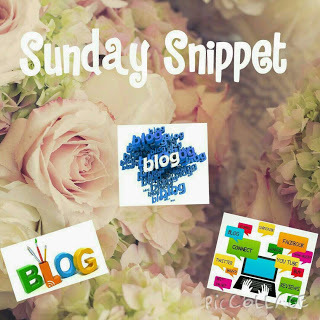 But i am back and so is my Sunday Snippet and what better way to make a comeback than to introduce you to my fellow Waterford Blogger Aoife from Fairly Fabulous. 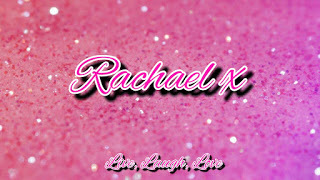 Aoife is a lovely girl, she is really down to earth and her blog reflects that. She loves a good bargain and loves to let you all know her latest thoughts on products which are out there. So now onto the fabulous Aoife and to learn all about her. My name is Aoife. I'm 22 years old. I'm from Waterford City. I have a degree in New Media and English from the University of Limerick and I'm currently studying for a Higher Diploma in Television Production in WIT. I'd always kind of wanted to set up a blog but I didn't have the confidence to put myself out there. My first taste of blogging was as part of one of my modules in college. I had to set up a blog about an aspect of the media and I really enjoyed doing that! One of my best friends from college, Ciara, blogs about fashion and travel, and she was definitely an inspiration in setting up my own blog, cause I could see that she was having so much fun doing it. Because I'm doing a post grad there's a lot of work and pressure involved with that so I love reading and watching television to help me unwind. I've also just recently gotten back into dance. I started ballet when I was 4 and had to give it up when I was 19 due in part to injury but mostly because I was busy with college. But I've started back now and I'm really excited about that! I'm not a full time blogger but I'd love to be! Right now I'm focusing on college and getting a job for after I graduate, so it can be hard to find time to blog. But you never know, maybe one day I will be blogging full time! I buy a lot of makeup and skincare and I love doing reviews of the new products that I have found and loved. I also take inspiration from magazines and things I see on Instagram that I think people will like to read about. I have a great respect for Sue. She has made her passion into a career and a successful business. Anyone who says that that isn't the dream is lying. I love reading Sue's posts on her blog and I have often bought products based on her recommendation. I went to a seminar of hers in WIT and I came away with so many tips and tricks to make my blog better. She really knows her stuff! Emma from http://masteringyourmakeup.blogspot.ie. Emma has given me so much help with my blog, she's like my fairy blog mother! She's such a lovely girl and she's always ready to offer advice and help. I love reading her blog. She's done some really interesting makeup classes and courses and that's something that I really want to start doing. As I said above, Ciara is one of my best friends from college. She started blogging about fashion, then some beauty, then some travel. She's a bit of an all rounder! She is literally the trendiest person I know. Also, she is hilarious! She was the first person I showed my blog to and she gave so much encouragement when I started. Thanks Ciara! These girls are all really talented bloggers and I love seeing what they think of their latest purchases, how they're doing their makeup, how they put outfits together, or how they're getting on in general! I really want to start doing outfit posts! I have so many clothes, it's getting out of hand! I just need to find someone to take pictures for me... Any takers? Thanks so much for popping by to have a read and to get to know Aoife, I urge you all to pop over and give her social media links a like. Don't forget to pop back next week to check out the next blogger.